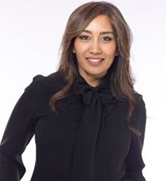 Sumathi Ramanathan, Director of Destination Marketing, Expo 2020 expects that this once-in-a-lifetime celebration of Arabian world will deliver a comprehensive knowledge that celebrates human ingenuity with a mission to connect, create and innovate. Speaking to Travel And Tour World, Sumathi Ramanathan highlights on how Expo 2020 Dubai will reveal the progress that can be achieved and bloom the market when people and ideas come together. Travel And Tour World – What are the main highlights for Expo 2020? Sumathi Ramanathan : Expo 2020 Dubai will last for 173 days, and every day will offer brand new experiences for our visitors. There will be festivals celebrating everything from outer space to the future of design, 70 live shows daily and 190 countries showing the very best of their cultures, cuisines and creativity. For the first time ever at a World Expo, each nation will have its own pavilion. Visitors can also explore Expo 2020’s subthemes of Opportunity, Mobility and Sustainability at the three Thematic Pavilions. There will be more than 200 F&B outlets offering dishes from every corner of the globe – thinkPeruvian ceviche and Indonesian nasi goreng, Spanish tapas and Creole Jambalaya, French steak frites and Singaporean street noodles. At the centre is the 150m-diameter Al Wasl Plaza, topped by a huge domed trellis that will act as a 360-degree projection surface for various shows. Taking its name from the Arabic term for ‘the connection’, Al Wasl Plaza will link the three Thematic Districts – Opportunity, Mobility and Sustainability – as well as the Dubai Metro Route 2020 link and the falcon-inspired UAE Pavilion. World Expos have brought people together from across the globe for the past 168 years, and this is the first one ever to be held in the Middle East, Africa and South Asia (MEASA) region. The UAE will welcome the world to its doorstep for Expo 2020 Dubai, a once-in-a-lifetime celebration and the largest event ever staged in the Arab world. Travel And Tour World: How will Expo 2020 help in unlocking the potential for individuals and communities to shape the future? Sumathi Ramanathan : Held under the theme ‘Connecting Minds, Creating the Future’, Expo 2020 will demonstrate the progress that can be achieved when people and ideas come together. The three Thematic Pavilions will show tangible ways that visitors can help shape a brighter tomorrow. The Opportunity Pavilion will offer game-based journeys that highlight the Sustainable Development Goals, a blueprint set by the United Nations that address global challenges such as poverty, gender inequality and climate change. The Mobility Pavilion will look at the past, present and future of movement –showcasing human progress through physical and digital realms – while the Sustainability Pavilion will offer an emotional journey through oceans, forests and beyond. Visitors will witness the madness of human consumption and can pledge to help preserve the planet for future generations. Travel And Tour World: What are the main aims for EXPO 2020? Sumathi Ramanathan : Expo 2020 Dubai is a destination where people from around the world will come to have fun, learn and be empowered.Our aim for Expo 2020 is to deliver an inclusive experience that celebrates human ingenuity, welcoming more than 200 participants including nations, multilateral organisations, businesses and educational institutions. Travel And Tour World – What is the economic impact we expect? Sumathi Ramanathan : Expo 2020 offers a wealth of opportunities for businesses of all sizes, large or small.To date, more than 25,000 suppliers from 149 countries are registered to do business with Expo 2020. With more than half of all contracts awarded to small and medium-sized enterprises (SMEs) to date, Expo 2020 is stimulating economic growth that will have a lasting impact in the region and beyond. Through its Merchandising and Licensing programme, Expo 2020 aims to have on sale some 5,000 types of official licensed products, inspired by the Expo’s theme of ‘Connecting Minds, Creating the Future’ and subthemes of Opportunity, Mobility and Sustainability. Expo 2020’s official products will be sold through retail outlets across the Expo site as well as by authorised outlets around the UAE, and Expo 2020’s official online store offers an additional opportunity for retailers to reach customers in every corner of the world. Sumathi Ramanathan : From the very beginning, Expo 2020 has been committed to building a legacy that is meaningful and sustainable, extending its impact and benefits beyond the UAE to the wider region and the rest of the world. Expo 2020’s long-term approach is based on four pillars: physical, economic, social and reputational. A large part of Expo’s physical strategy involves the site’s transformation immediately after the World Expo into District 2020 – a highly accessible, well connected and integrated urban development that will continue its mission to connect, create and innovate. When it comes to a long-term economic strategy, Expo 2020 is working with partners, participants and government entities to contribute to new business generation, GDP growth and job creation across the region. By bringing the world together, the next World Expo will stimulate both inward and outward investment. Expo 2020 is committed to achieving long-term social benefits domestically, regionally and internationally. The Expo School Programme is inspiring young people, empowering and involving them in shaping a lasting legacy that they will carry forward. Meanwhile, Expo Live is a USD 100 million innovation and partnership programme that is funding, accelerating and promoting social entrepreneurs with creative solutions to global challenges. In terms of reputational legacy, Expo 2020 will raise the UAE’s international standing, strengthening bilateral and multilateral relations. Beyond the World Expo, the UAE will be well placed to attract other events of this scale, due to its enhanced hospitality, security and logistics capabilities. Sumathi Ramanathan : There will be something for everyone at Expo 2020 Dubai. This includesunique architecture such as the Opportunity Pavilion, which is built from all-natural materials including 2,500 tonnes of stone and 111km of rope, as well as art installations from across the globe, live shows from local talents and world-famous names, and festivities from 190 countries. Young ones will be kept entertained, with everything from make-your-own-robot workshops to activities that combine gaming with exercise, and Expo 2020 will also host a varied programme of seminars and exchanges featuring out-of-the-box thinkers from across the globe.